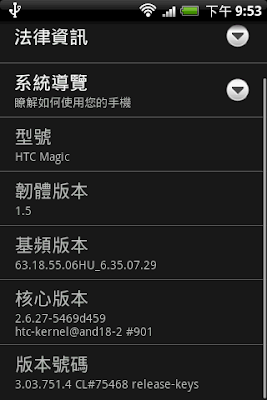 "adb shell flash_image recovery /sdcard/recovery-RA-hero-v1.6.2.img"
Abin 大大 , 不好意思,想請教一下,我的magic是中華剛出來就購入的,到目前為止完全沒升級過(沒有HTC SENSE UI) , 我想刷非官方的ROM , 要如何下手??. 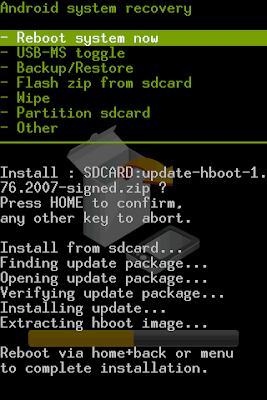 (想刷smoki 0.6的Rom)..
你好, 我跟著你的步驟更新, 但我在打 flash_image recovery /sdcard/recovery-RA-hero-v1.6.2.img 時, 電腦彈出了沒有這個檔案的字句, 我已經將recovery 的檔案放左記憶卡的根目錄了,但還是不行, 這句指令要在 # 後面打? 還是在 c:/android-sdk-windows\tools> 後面打? ?